Archive from category "Spinal Cord Injuries"
Communicating with one’s doctor openly and regularly is important for many Delaware residents. This is especially true for accident victims who may have severe afflictions such as spinal cord injuries. In this situation, obtaining a thorough prognosis can offer some peace of mind during a difficult situation. For a person who has suffered a spinal cord injury as the result of someone else’s negligence, it can be frightening to learn about one’s prognosis. Spinal cord injuries are often extremely serious, and may cause paralysis among other life-altering changes in a person’s body. These types of injuries are generally classified based on where the injury to the spinal cord has occurred. Injuries that occur higher up on the spinal cord are often more serious and damaging to the body than those that occur at lower levels, although all injuries to the spine have the potential for severity. The human spine consists of over 30 vertebrae, with seven in the cervical region, 12 in the thoracic region and five in the lumbar region or lower back. Spinal cord injuries can be labeled with a letter and number corresponding to vertebrae; for instance, an injury may occur at C3 or at T6. An accident victim’s outlook for recovery often depends on where on the spine they were harmed. An injury at L1 through L5 may involve the potential for eventually walking with assisting devices or for short distances. An injury at C3, however, may involve death or total dependency on long-term care for an indefinite period of time. Spinal cord injuries that occur on the lower end of the cervical spine may entail quadriplegia with varying degrees of arm movement. This translates into victims possibly being able to use a wheelchair on their own or transferring themselves from one spot to another. Some may even be able to drive if certain adaptations are made. A spinal injury that occurs in the T6 through T12 region might mean that the person can sit with good balance and maneuver a wheelchair with increased ability. Spinal cord injuries are highly complex, and any predictions for rehabilitation can only be made by a qualified physician. Long-term medical care can be enormously costly. Accident victims may want to speak with an attorney if their injury was caused by the carelessness of another person, such as a drunk driver or negligent property owner. It’s probably not surprising that spinal cord injury tends to be one of the most devastating types of injury a person can experience. This vital area of the body affects so many other parts of a person, and injury to one’s spinal cord can be truly life-altering in countless ways. Many victims of spinal cord injuries face lengthy rehabilitation periods, long-term medical care and the huge medical expenses that come with an injury so comprehensive in its effects. In any event, a Wilmington spinal cord injury attorney can help a victim assess their situation and determine if negligence caused their affliction. Fortunately, negligent parties can be held accountable for accidents leading to these severe injuries. These injury victims may have another reason to be hopeful: according to a recent report, those with quadriplegia and paraplegia may be positively aided by treatment utilizing neural stem cells. A clinical trial out of the University of Pittsburgh Medical Center showed that over half of the patients who participated in the stem cell procedure reported being able to feel new sensations in the body. Specifically, several of the participants with thoracic injuries reported new feelings in the middle of their backs below the area of injury. Another trial involved patients who reported increased strength in their upper bodies as well as improved dexterity half a year after their surgeries. According to one of the trial’s principal investigators, these developments are hugely exciting. With medical science advancing every day, there are many reasons for spinal cord injury victims to have a healthy amount of hope for their future. Advances are also being made in the area of rehabilitation, meaning injury victims can do more than they ever could before. Still, these advances are usually very costly, and accident victims often need all of the help they can get. Consulting with an attorney can begin the process of gaining compensation for one’s spinal cord and other injuries. Faced with mountains of unexpected medical bills, what is an accident victim to do? In Delaware, the team of attorneys at Murphy & Landon are experienced in obtaining compensation for spinal cord injuries. Getting started is as easy attending a free consultation or simply making a toll-free call to a compassionate staff member. Spinal cord injuries can result from any number of accidents, including car accidents, sports injuries and more. These types of injuries can be extremely severe and may even spur a permanent disability or paralysis. Not surprisingly, the medical expenses associated with spinal cord injuries can be exorbitant. Few people could possibly be prepared for the emotional and physical trauma of a spinal cord injury. The financial aspect can be just as daunting, especially because with medical costs there may be no end in sight. Obtaining legal advice from a Wilmington spinal cord injury attorney can put a victim in an empowered place for seeking compensation. If the accident which caused the injury was caused by negligence, the victim may be entitled to compensation for an array of damages. Securing this compensation, though, takes experience, dedication and assertiveness. In addition to the skilled attorneys at Murphy & Landon, there are additional experts that may be brought in to offer perspective on a case. These include medical professionals, economists and even life care planners who are sometimes needed to predict the type of long-term care an accident victim may need. At Murphy & Landon, the attorneys will not back down from pursuing all the compensation an accident victim needs, nor will they shy away from intimidating opposition or complicated cases. The six attorneys have over 100 years of combined experience and have represented high-profile clients. 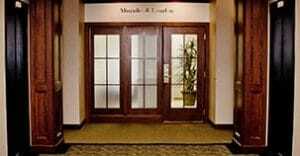 Delaware accident victims can access this experience by taking their case to Murphy & Landon. There are many questions that spinal cord injury victims are likely to have regarding their prognosis. Whether one has a spinal cord injury or has a friend or family member with this type of severe injury, one of the first questions is often, “can this be cured?” A Wilmington personal injury attorney experienced in dealing with spinal cord injury, or SCI, can be a helpful resource. Unfortunately, there is currently no “cure,” per se, for spinal cord injuries. The spinal cord is a crucial part of the human body and thus injury to it can have profound and lasting effects. In most instances, someone with a spinal cord injury will need extensive medical treatment and potentially long-term medical care. Fortunately, there are many researchers studying the affliction and many medical advancements have benefitted the lives of spinal cord injury victims. For less-severe SCI, a person may be able to regain some function following the injury. Proper use of certain steroid medications has been shown to reduce swelling, which can aid in lessening the possibility of secondary damage from the injury. However, it is extremely rare that a person with SCI will regain all function, even years after the incident. As a result, an accident victim, such as the victim of a negligent driver, can face steep medical bills both after the accident as well as throughout their lifetime. How can an accident victim find help for SCI medical expenses? If an accident was caused by another’s negligence or recklessness, the accident victim may be entitled to compensation. This compensation can make a huge difference in the life of anyone suffering from SCI. A Delaware personal injury firm can offer guidance on how to get started pursuing compensation for damages. When a loved one suffers a serious injury, family and friends can face challenges as well. While no one can truly understand what it is like to suffer a spinal cord injury unless they have survived it themselves, family and friends may be going through their own journey of confronting a loved one’s recovery. One aspect of many spinal cord injuries is, unfortunately, paralysis. In many instances those who have suffered a spinal cord injury will need to use or rely upon a wheelchair. It can help to keep certain elements of “wheelchair etiquette” in mind when first meeting someone using a wheelchair, or when first seeing a loved one using their assistive device. One common thing that happens to those in wheelchairs is someone refusing – or forgetting – to shake their hand or make eye contact. While it’s understandable that seeing someone who could formerly walk in a wheelchair, shaking their hand and making eye contact can make acceptance clear. In general, it’s often helpful to try and forget the person is even in a wheelchair, or simply not pay it any attention. In some cases, those who are in wheelchairs may have areas of their body visibly affected by a car accident or other injury-producing event. Again, trying not to focus on these areas can make a wheelchair user feel more accepted. One aspect of having a conversation with someone in a wheelchair is the fact that the wheelchair user typically has to look up in order to make eye contact with the standing person. If a conversation is going to last more than a few minutes, it can be useful to suggest an area where one can sit and make the wheelchair user more comfortable and able to make level eye contact. If the wheelchair user has a caregiver, he or she will likely appreciate one speaking directly to them instead of through the caregiver standing next to them. Learning to accommodate another’s spinal cord injury may be a long-term journey. Still, those who have suffered this type of injury can benefit from others supporting their recovery and rehabilitation. For victims and their families, speaking with a personal injury attorney about their accident can be a reassuring experience, as there may be compensation available for medical expenses and rehab costs. Whenever a Wilmington resident gets into an accident of some sort, the first question many ask is, “is the person okay?” Finding out if an accident victim has serious injuries is one of the most important elements of any post-accident procedure. When these injuries are serious, they often need immediate treatment and may require long-term medical care. Whether it’s a car accident, a workplace accident, a sporting incident or some other type of situation, resulting spinal cord injuries can change a person’s life forever. What causes spinal cord injury? Many different types of accidents can cause this condition. Spinal cord injury occurs when the spinal column or spinal cord is damaged – in particular, the vertebrae, disks or ligaments of the spinal column are often at the core of a spinal cord injury. There can be both traumatic and non-traumatic spinal cord injuries, each with different levels of severity. Non-traumatic injuries can come about due to issues such as inflammation or infection, or conditions such as cancer or even arthritis. The non-traumatic version can also be caused by the spine’s disk degeneration. Traumatic spinal cord injury happens when there is a sudden and severe blow to a person’s spine; this traumatic force will likely do one of the following to the spine’s vertebrae: crush, compress or dislocate. Even one vertebrae damaged in such a manner can cause a traumatic spinal cord injury. Unfortunately for many victims, even more damage can be done following a traumatic blow to the spine because, following the initial impact, there is risk for bleeding, inflammation, swelling or the accumulation of fluid both in and around the victim’s spinal cord. One of the key traits of a spinal cord injury is that a victim often has difficulty controlling movement, or is paralyzed, in the part of the body below the injury site. This is because the damage usually has a negative effect on the nerve fibers in the area of injury. Interestingly, this is true whether a spinal cord injury is traumatic or non-traumatic. In any event, an injury victim may face the prospect of a dramatically altered future. Accident victims who believe their injury is due to the negligence of another, such as a negligent driver or similar party, may find relief by consulting with a compassionate spinal cord injury attorney. Do spinal cord injury victims always need a wheelchair? No Delaware resident wants to face the prospect of a devastating injury, but for accident victims there is no choice. Whether one was hurt in a car accident caused by a negligent driver, a workplace accident or a recreational accident, the prospect of a spinal cord injury may be present. One of the primary fears of those with recent spinal cord injuries is often the thought of life spent in a wheelchair. It may be surprising to learn that not everyone who has a spinal cord injury requires a wheelchair all of the time. First, different types of SCI typically require different types of assistance. Those with High C-level SCI often need a power wheelchair, while those with low C-level SCI and lower often need a manual wheelchair. Some individuals with SCI are able to get around with crutches or braces. However, this doesn’t mean that these people will never need to use a wheelchair, just that a combination of aids may be utilized at different times. While SCI victims often need wheelchairs, either manual or powered, as an integral part of their daily lives, they are not necessarily in them all of the time. A person who requires a wheelchair to get around may still be able to engage in different activities, from swimming to driving and even flying planes or skiing. Nevertheless, ambulation aids are almost always a need for those who have suffered SCI. Unfortunately, there is not yet a cure for SCI, although medical advances continue to make life easier for those with this type of injury. Still, the long-term medical care required by those with SCI can be extremely costly. If one’s SCI is the result of another’s negligence, compensation for medical expenses and recovery may be available. What are the top causes of spinal cord injuries in the U.S.? While all injuries can be quite traumatic, spinal cord injuries are particularly hard to deal with since the damage tends to be irreversible. This means that unlike; let’s say a broken leg or a fractured rib, the damage done to the vertebrae, disks or ligaments of the spinal cord will continue to impact one’s life. The Mayo Clinic provides a wealth of information pertaining to spinal cord injuries, including a breakdown of the most common causes of these types of injuries. According to the clinic, motor vehicle accidents are the No. 1 cause of spinal cord injuries in the U.S. Car, truck and motorcycle crashes account for 35 percent of all spinal cord injuries reported each year. Coming in at No. 2 on the list is falls. While a fall can result in a spinal cord injury for anyone, and do account for 25 percent of all spinal cord injuries in the U.S., those over the age of 65 are particularly susceptible to spinal cord injuries resulting from falls. The same informational document also lists violent acts, sports and recreational activities and disease, such as osteoporosis and arthritis, as common causes of spinal cord injuries. With all spinal cord injuries, regardless of the exact cause, the results can be devastating. For example, let’s say someone is driving down Route 13 in New Castle, Delaware. Suddenly, out of seemingly nowhere, another driver — busy texting no less — sideswipes another car. The driver of that other car is jolted, hard. Now, this driver has a spinal cord injury. In this type of scenario — or any scenario where another’s negligence leads to an accident — the first step, aside from getting medical treatment, should be to reach out to an attorney. This attorney can begin to explain the different legal options that may be available in order to receive compensation for the pain, suffering and necessary medical treatments that will be needed, both now and into the future. How does a spinal cord injury affect other areas of the body? When a person in Wilmington suffers a spinal cord injury, there are many issues that will be of significant concern. Once it is known that the injured person is going to survive the spinal cord damage, there are many complications that can present themselves. With those complications can come massive medical expenses. It’s important to understand what can result from a spinal cord injuries and how to deal with these medical issues. Even without paralysis, there can still be physical changes such as a loss of bladder control. Since the brain receives signals from the spinal cord, there will be a separation between what the body needs to do and what the brain can tell it to do. An inability to control the bladder can lead to urinary tract infections, kidney infections and stones in the kidneys and bladder. There could also be issues with bowel control. The bowels will often work as they did before, but control can be lost with a spinal cord injury. A lack of skin sensation could lead to unknown damage. Without the ability to feel, there might be an issue realizing if there is too much heat, cold or developing sores. The circulation can be affected. Since the spine is so important to all systems of the body, low blood pressure, high blood pressure, swelling in the extremities, blood clots and other problems can present themselves. Breathing can be difficult with the need for artificial respiration. This can result in the possibility for infections and pneumonia. Since it is difficult to exercise, a loss of muscle tone can happen. There can be mental and emotional problems such as depression due to the spinal cord injury. Injuries to the spinal cord can happen in many different ways from a car crash to an accident at work to a simple fall. No matter how it happened, those who suffer this kind of injury often don’t realize what they’re up against. If the accident or incident was the fault of another or due to someone else’s negligence, it may be wise to know how to investigate the situation and pursue compensation with a legal filing. A legal professional can provide assistance in moving forward with a case. Anyone who has suffered a spinal cord injury knows that in a split second your life can be changed forever. The human body is extremely complex, and once damaged, the spinal cord does not heal. Individuals who suffer spinal cord injuries — whether in car accidents, sports, or workplace accidents — are often left permanently disabled. However, the good news is that science has come a long way over the past few decades, and is giving hope to many people who have lost the ability to walk. Bionic exoskeletons, which were once only seen in the movies, have been developed and allowed 3,500 patients with spinal cord or stoke injuries to walk more than 15 million steps, Live Science reported last week. The bionic legs operate using a system produced by the California-based company Ekso Bionics, which has been working on the project for more than 10 years. The new device, called the Ekso, sends power to either leg in response to the user’s strength. The device can not only allow some spinal cord injury patients to walk again, it can also help them avoid the negative toll sitting in a chair all day has on the body. At this point, the devices are far too expensive for consumer use, but it is possible that within a few years similar devices could be available for purchase. Of course, they would still come with a hefty price tag, as most special devices for spinal cord injury patients do. For that reason, spinal cord injury patients often depend on the damages awarded in personal injury lawsuits to help cover the expenses associated with their injuries. Spinal cord injury patients may be entitled to damages when their injury was the result of negligence.